Many of the stripping knives we sell are available for right- and left-handed use starting from the price shown. Click on "See all Options" to see all the options available and individual prices. Coat Kings also offer an alternative to traditional hand-stripping, click here to see the full range of the original wood-handled version. Short, fine blade for detailed work and sensitive areas. 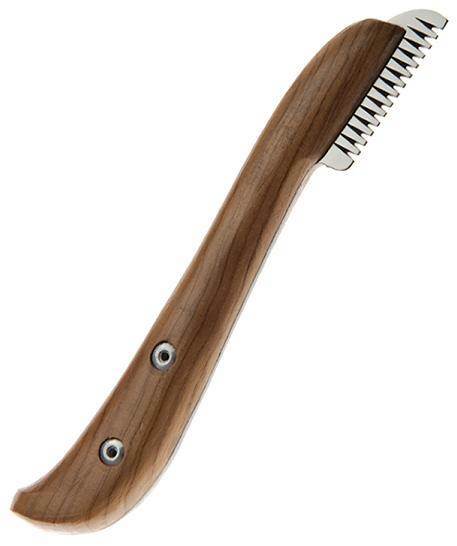 Comfortable wooden handle and premium quality blade. For fine, silky coats. 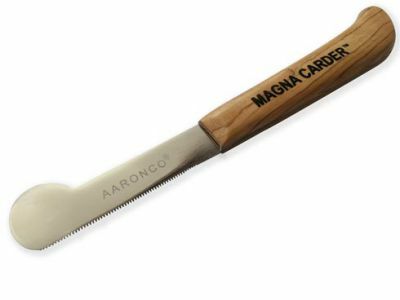 Ergonomically designed wooden handle, premium quality blade. For hand stripping of fine coats. Shaped wooden handle for comfort in use. Premium quality blade. Medium tooth pitch for hand-stripping of wiry coats. 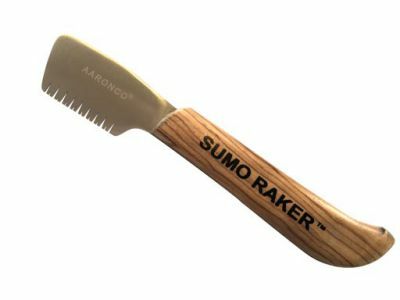 Ergonomic wooden handle and premium quality blade. For hand-stripping of thick, coarse coats. Comfortable wooden handle and premium quality blade. 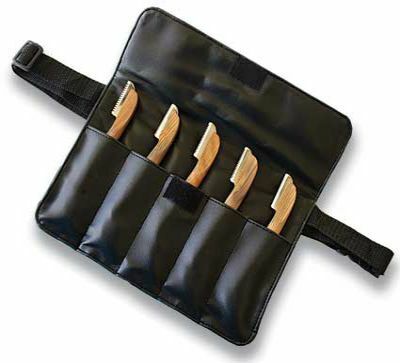 Set of 5, all wooden handled, trustworthy brand. 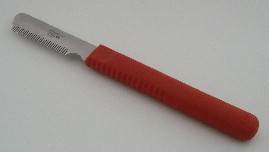 Fine stripping knife/carding tool with longer blade. With deeper blade for easy removal of dead undercoat. Short, fine stripping knife for head and ears. Fine tooth general purpose stripping knife. Fine stripping knife for silky coats. Medium stripping knife for wiry coats.